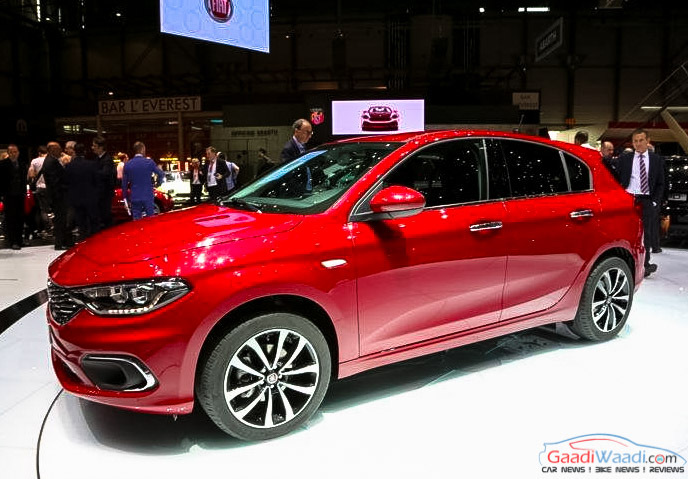 Fiat Tipo hatchback was unveiled at the 2016 Geneva Motor Show alongside its estate sibling. The car grabbed attention with its sharp and aggressive styling and now we hope, this car arrives in our country soon. India being one of the largest car markets around the world, FCA is expected to launch the Tipo hatchback for the local market. Moreover, with the rising demand for upmarket hatchbacks in the India, Fiat targets to grab a sizeable share in that space with the Tipo hatchback. Fiat Punto has many takers in the domestic market, but it receives mixed reaction from the customers. While some people love this car, some complain about its style which is not as sharp and attractive as many other models in the segment. Now, the Italian automaker could replace the Punto with the upcoming Tipo hatchback. The company is yet to reveal any specific launch detail about Tipo’s India launch, but we expect it to reach the domestic market sometime during late 2018. 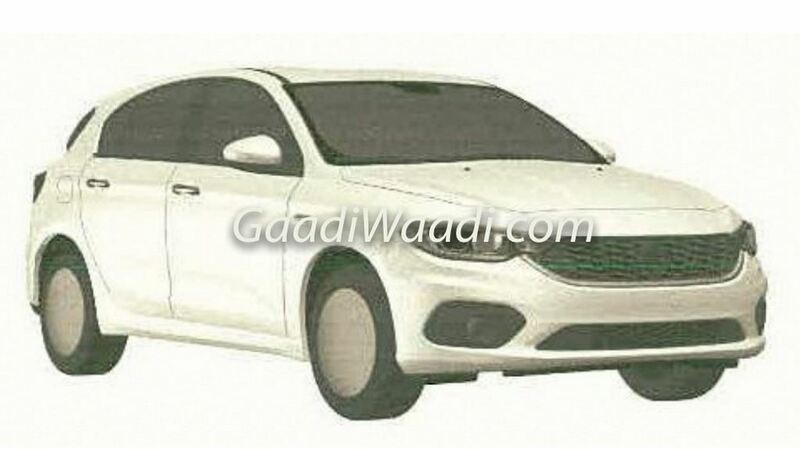 The Fiat Tipo hatchback has been patented in India and is expected to launch sometime during late 2018. It could be showcased at the 2018 New Delhi Auto Expo. Fiat will surely keep the Tipo hatchback’s pricing competitive against its rivals. Expect it to come priced between Rs. 6 lakh and Rs. 9 lakh (ex-showroom, New Delhi). 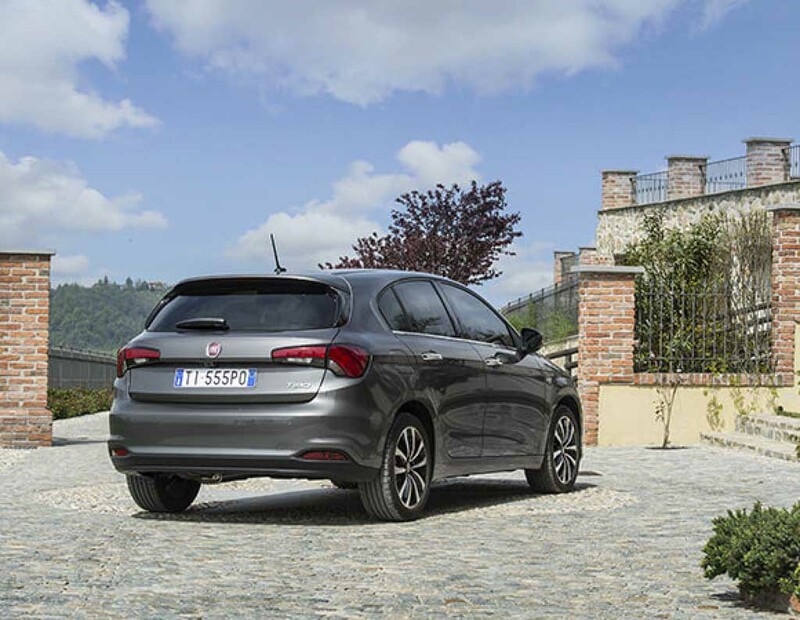 In the global market, the Fiat Tipo Hatchback is available with a range of engine options, including both petrol and diesel units. Among the petrol engines, there is a 1.4-litre four-cylinder motor generating 95 bhp of peak power and 127 Nm of peak torque. Apart from that, there are a larger 1.6-litre motor and a 1.4-litre turbocharged engine as well. The 1.6-litre petrol engine kicks out 110 bhp of peak power and 152 Nm of peak torque. On the other hand, the 1.4-litre turbocharged engine is capable to churn out 118 bhp of peak power and 206 Nm of peak torque. On the diesel front the Tipo hatchback borrows the Multijet engines from its sedan sibling. The 1.3-litre Multijet II diesel engine kicks out 95 bhp of peak power and 200 Nm of peak torque, while the larger 1.6-litre Multijet II diesel motor pumps out 120 bhp of peak power and 320 Nm of peak torque. The transmission options for this hatchback include a 6-speed manual gearbox and a 6-speed automatic unit as well. The India-spec Fiat Tipo hatchback could come available with the 1.4-litre T-Jet petrol engine and the smaller 1.3-litre diesel unit. Expect the power and torque output to remain same, while the transmission options for this car will also likely to remain same as the global model. 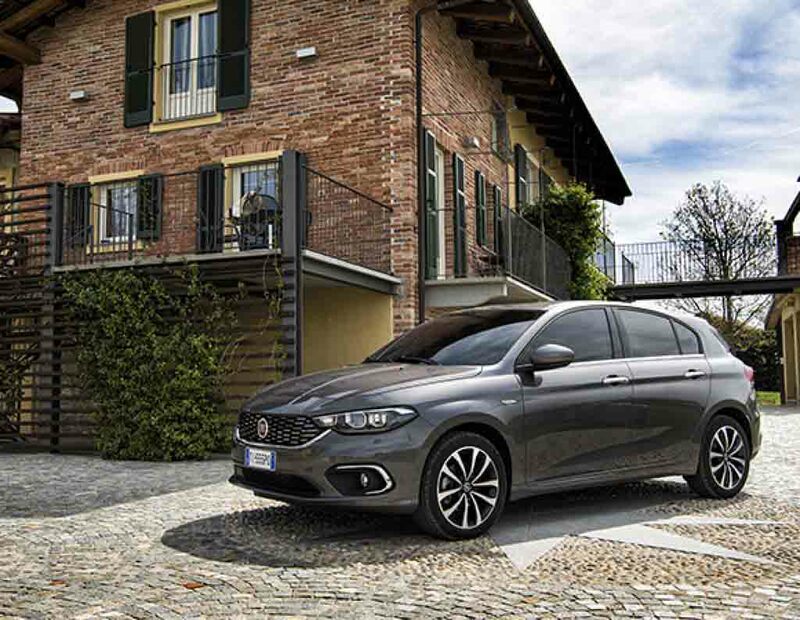 The Fiat Tipo Hatchback comes with a sharp and stylish design. The front fascia of this car looks identical with the Tipo sedan, but little bit of tweaks have been incorporated in the hatchback. It appears bold and aggressive, thanks to the large front grille, sharp crease incorporating hood and the bumper with wide air intake. The dual-beam headlamps come sharp looking and sport integrated LED daytime running lights. The LED daytime running lights are missing in the sedan. Apart from that, the fog lamp enclosures feature chrome trim around them. At the side profile, the Fiat Tipo hatchback gets sporty alloy wheels, chrome finished door handles, blackened glass area and sleek character lines. These altogether make the car’s side profile stylish and visually appealing. The rear fascia of this car is quite attractive as well. It features a roof spoiler, wide wraparound taillights and a muscular bumper as well. 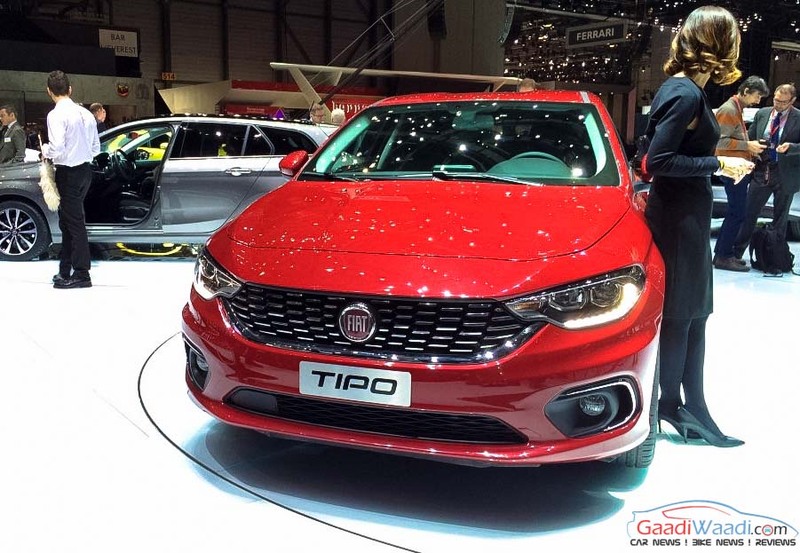 So far, the Fiat Tipo delivers a premium vibe with its overall package. This car has been designed in Italy at the FCA Style Centre and developed in Turkey. Dimensionally, the hatchback measures 4,368 mm in length, 1,792 mm in width and 1,495 mm in height. 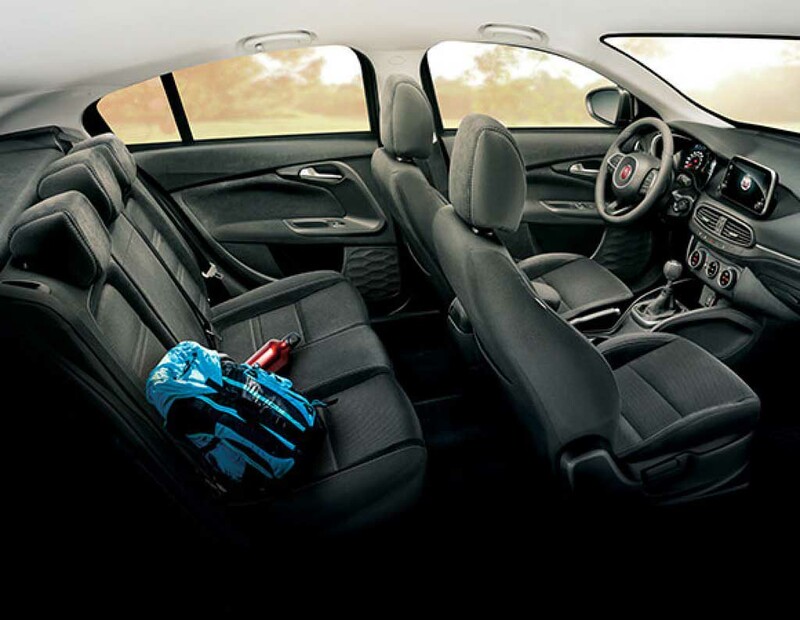 The Fiat Tipo hatchback’s interior looks stylish, upmarket and contemporary. It features a three-spoke multi-function steering wheel, analog dials and a digital MID consisting instrument cluster. 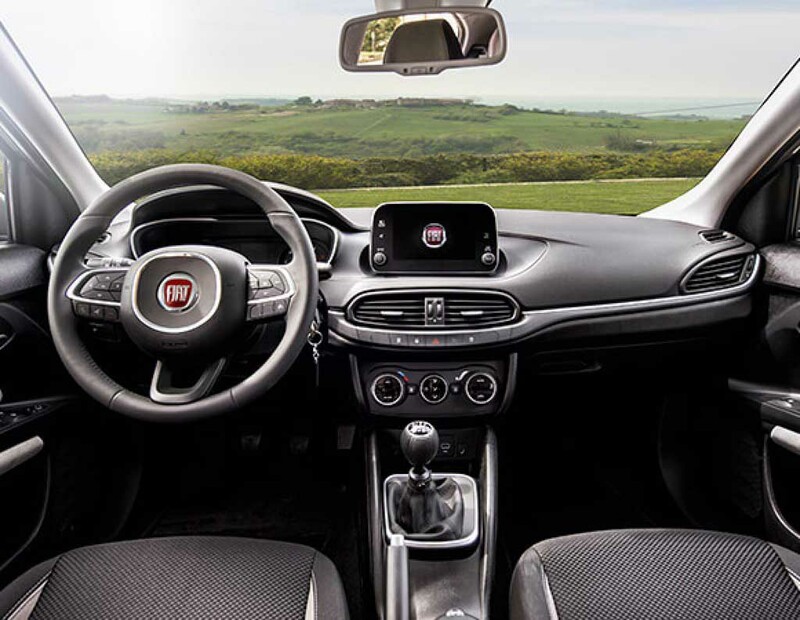 Enhancing the attraction is a floating 7-inch U-Connect touchscreen infotainment system with Bluetooth connectivity. 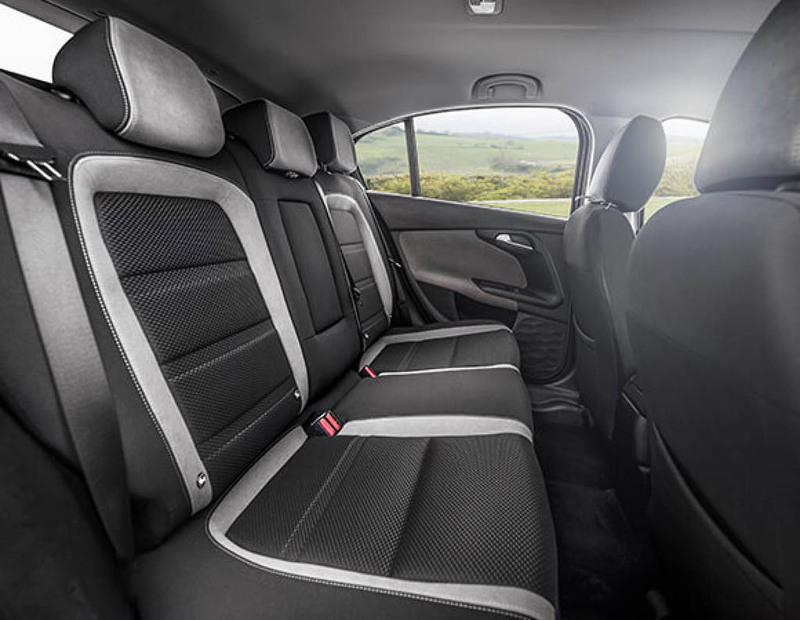 Apart from that, the spacious interior also sports automatic climate control, auto-dimming rear view mirrors, upmarket quality seat and upholstery materials etc. 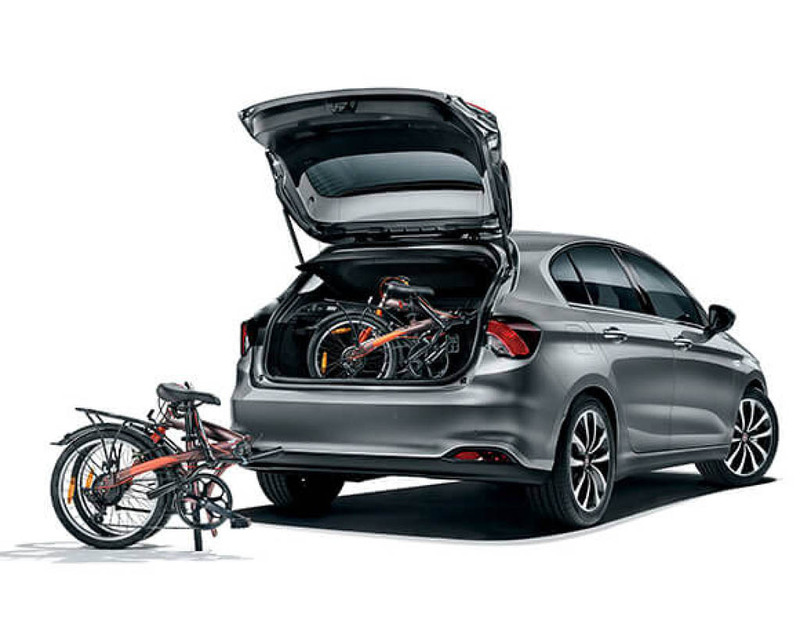 The automaker claims, upcoming Tipo hatchback offers an impressive 440-litre of boot space. The Fiat Tipo hatchback is built with high-strength steel. It comes equipped with safety features like 6 airbags, ABS, EBD, ESC, Brake Assist, Stability Control, Adaptive Cruise Control, Anti-slip Regulation System, Rear Parking Camera and speed limiter. Upon its arrival, the Fiat Tipo hatchback will lock horns with tough and popular rivals like Maruti Suzuki Baleno Hyundai Elite i20, Honda Jazz and Volkswagen Polo.